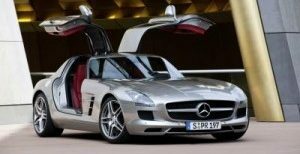 This page lists sweepstakes, promotions and Mercedes-Benz raffles. AMG Market is not involved with the promotions nor do we benefit from the proceeds. The links are provided for information purposes to our site visitors. Purchase a $50 ticket for a chance to win $50,000. Enough to buy your own 2012 ML! This raffle is from the Mercedes-Benz Club of America (MBCA). To participate in the raffle, you must be a member of the MBCA. Not a member? Join now! You must be at least 18 years of age and a current member of Mercedes-Benz Club of America (MBCA) to purchase tickets. You must also be a member in good standing at the time of the drawing to be eligible to win. The drawing will be held on June 26, 2012. Any member may attend the drawing; however, attendance is not required to win. Results will be posted at www.mbca.org by or before June 27, 2012. The MBCA 2012 Spring Raffle is open. Click here for details. Win a 2012 E350 Mercedes-Benz! Winner receives a Mercedes-Benz E350 from Tafel Motors or a $40,000 cash option. $100 a chance! Proceeds benefit Louisville Orchestra. Winner will be selected in a random, public drawing to be held at 8:00pm Friday, January 13, 2012 at The Kentucky Center, 501 W Main Street, Louisville KY.
Commonwealth of Kentucky Charitable Gaming License #0988. All taxes and other expenses associated with the acceptance and/or use of the prize are the sole responsibility of the winner. Visit the Louisville Orchestra Mercedes-Benz Raffle page for additional details and ticket information. AMG Market provides a running list of Mercedes-Benz raffles for enthusiasts. We are not involved with the raffles or benefit from the proceeds – we just list the Mercedes-Benz raffles and links for our readers. If you have one to add to the raffle list, please let us know. Thanks.